Pour 1/4 cup of water in a pot, and one pack of plain gelatin. Mix well until the gelatin granules are dissolved. Heat the dissolved gelatin mixture, and pour in the rest of the ingredients: 1/2 cup condensed milk, 1/2 cup coconut cream, and 1 can 425g Mega Prime Cream Style Corn. Remove pot from the stove, and let it cool. In a blender, add all the ingredients, and blend until smooth and creamy. These exciting summer coolers are made one-step easier with Mega Prime Whole Kernel and Cream-style Corn, in a 425g easy-open cans. 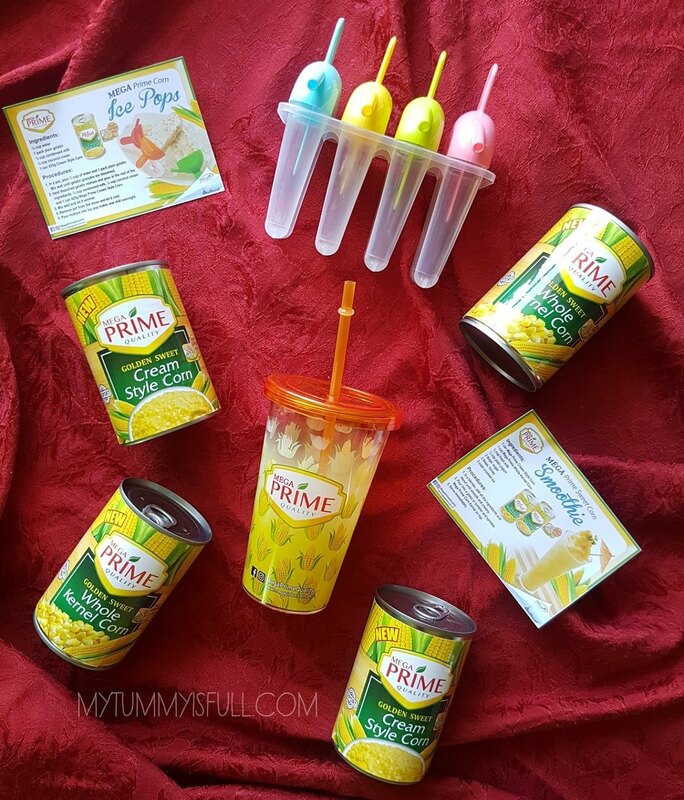 It is an ideal partner for moms like me, to create refreshing recipes, and still have enough bonding time with our loved ones, to truly enjoy a #PrimeSummer this vacation season. 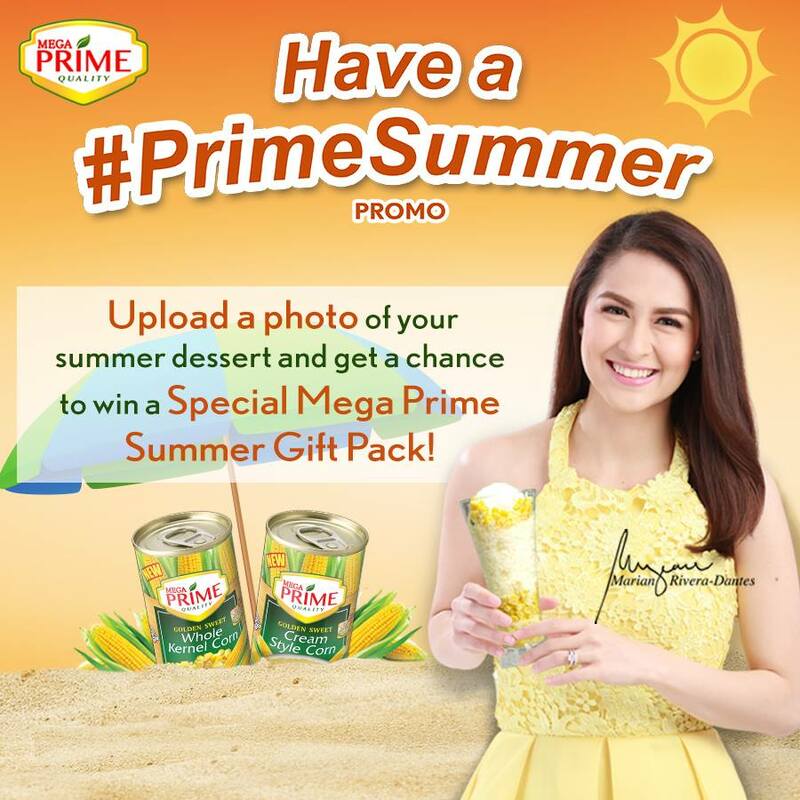 Upload your photo of your idea of a #PrimeSummer, together with your own #PrimeSummer dessert, share it with Mega Prime on Facebook, and get a chance to win a special summer pack from #MegaPrime. 1. Like Mega Prime Facebook Fanpage. 2. Upload your photo of a summer recipe along with your Mega Prime Corn can! You can use Cream Style Corn, whole Kernel Corn or both! 5. Five (5) lucky winners will win a Special Mega Prime Summer Gift Pack! Pick-up of prizes will be for those around Metro Manila while shipping of prizes are for Provincial areas only. Prizes will be available for pick-up or shipping for 30 days. Unclaimed prizes will be forfeited. For more on Mega Prime, visit megaglobal.com.ph/megaprimequality.